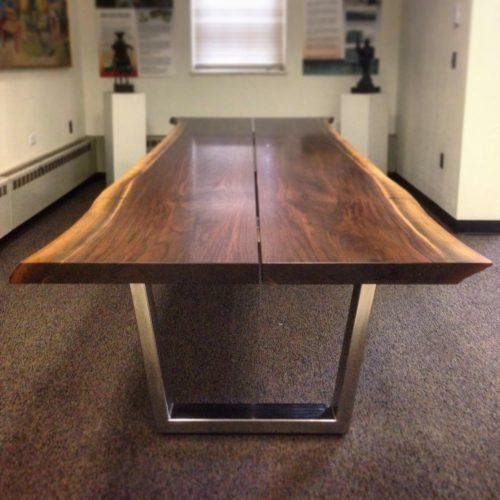 This dining table was made from two large bookmatched walnut slabs we salvaged in Westport, CT. This table is made from the last two slabs remaining from a log we reclaimed from behind Long Lots elementary school. 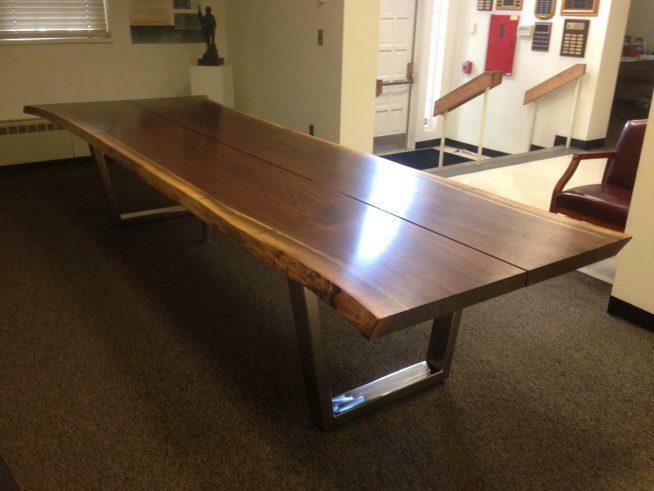 If you want to see the table it is in the front lobby of the Westport town hall along with another table of ours that is made from an historic tulip tree that came down in Westport. Dimension: 144"L x 42"W x 30"